Jesse Lozano joins me on the Learning on Fire podcast and explores the most important learning and educational moments that shaped his life. 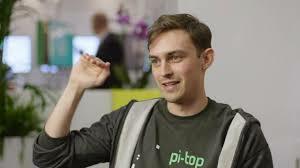 Jesse Lozano is CEO and co-founder of pi-top, the world’s leading creative learning company with a simple idea that a ‘maker-mindset’ is essential to developing the skills we all need to be future ready. Jesse launched the business in 2014 and has grown pi-top into a leading education innovation platform. pi-top stems from Jesse’s interest in affordable technology and how it can be utilised to democratise STEM based education across the world. In 2018, Jesse was named EY’s Entrepreneur of the Year with judges describing his vision and steadfast attitude as inspiring. Jesse’s flair and innovation also won him the Rising Star Award at the same event. Jesse studied Political Science and Government at Royal Holloway then later on, Law, at King’s College London. He graduated in 2009 and 2012 respectively.